One of the most interesting new features introduced during the Google I/O keynote has to be the integration between Google Home and Chromecast. The intelligent assistant can now show visual responses to interactions you have via any Chromecast connected TV. For a while now we've been able to play videos through our Chromecast via YouTube and Netflix, and now many more services are being added. During his segment in the keynote, Google's Vice President of Product Management and General Manager of Google Home (longest job title ever) demoed visual responses with the YouTube app as he asked: "What's on YouTube?" This brought up his own personal recommendations on his TV. He then asked it to show him his Watch Later list and then asked for a specific video from it, which it then played. While this is a staged product demo it looked undoubtedly impressive, especially the contextual element of the conversation. 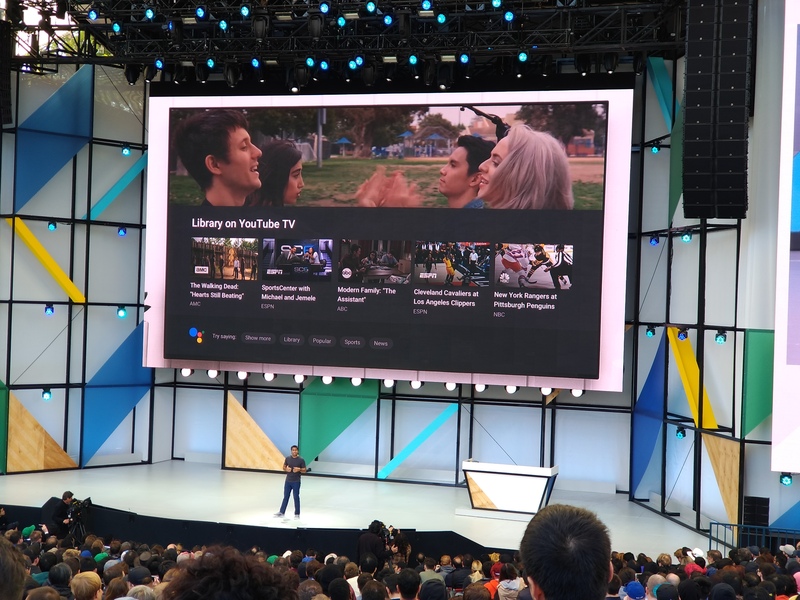 Next up, the feature was put to use with the new YouTube TV service, which offers live TV streaming as well cloud DVR functionality through which you can play saved episodes of your favorite programs. In typically meta Google fashion the example that was chosen to play was the episode of Modern Family in which Google Home makes a cameo. Very Clever. Check out the rest of our coverage from Google I/O's 2017 keynote for more exciting new announcements.